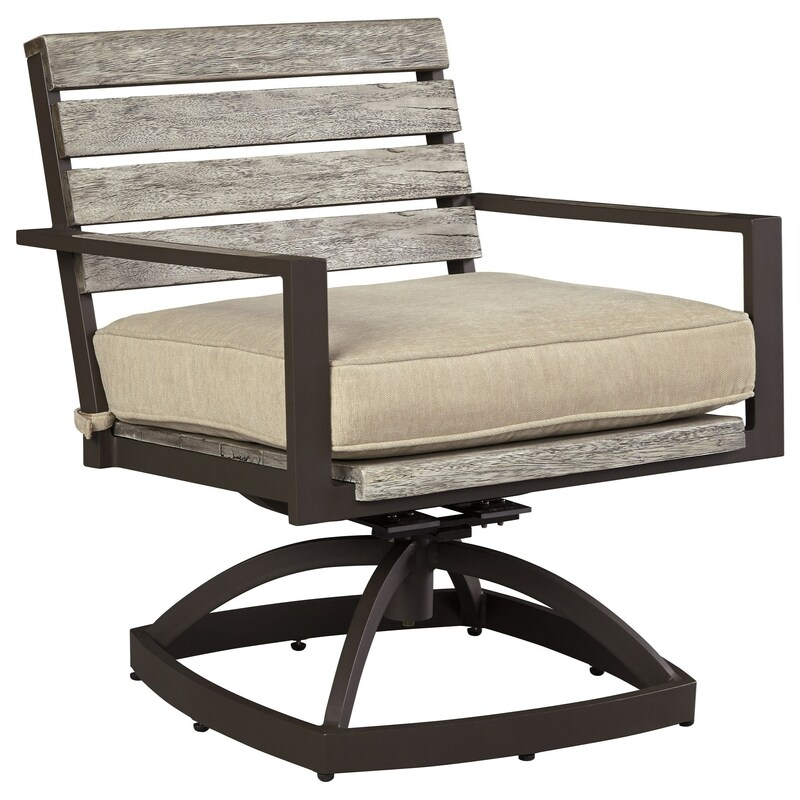 Combining modern and rustic style, this swivel rocker chair pairs a modern and durable brown finish aluminum frame with a rustic wood-look slats for the chair back and seat. The beige Nuvella™ cushion attaches to the chair with ease for added style and comfort. The chair is perfect for an outdoor dining table or around a fire pit. The Peachstone Outdoor Swivel Chair w/ Cushion by Signature Design by Ashley from Boulevard Home Furnishings. We proudly serve the St. George, Cedar City, Hurricane, Utah, Mesquite, Nevada area. Product availability may vary. Contact us for the most current availability on this product.